Leonardo da Vinci was the archetype of the Renaissance Man, The scope and depth of his creative output – from art to science, and much in between – remaining unrivalled half a millennium later. His two most famous paintings, The Mona Lisa and The Last Supper, are the most parodied and copied works of art ever, securing Leonardo his unique place in Western culture. But while da Vinci is best known as painter, to pigeon-hole him as such is to do him a great disservice. A true polymath, he was – among other things – also a sculptor, architect, musician, mathematician, engineer, anatomist, cartographer and botanist. Da Vinci was a great innovator. He managed, for instance, to conceptualize flying machines and concentrate solar power, as well as making important discoveries in anatomy, civil engineering, optics and hydrodynamics. In writings, drawings and scientific diagrams covering thousands of pages, he bequeathed a body of work that made a virtually unparalleled contribution to the knowledge of later generations. Gathering together the philosophies and analyzing the carefully honed skills of history’s most talented individual, this inspirational book invites you to explore Leonardo da Vinci’s unique approach to creativity, art and science. 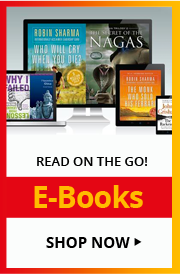 Tracing the disparate ideas and influences that helped shape him, it will reveal how you can apply his methods to all areas of your life. 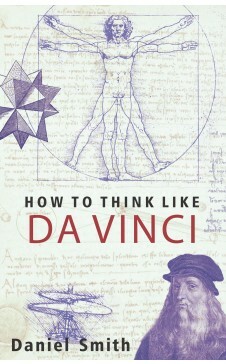 You too can learn to think like Leonardo, history’s greatest polymath. Daniel Smith works in publishing as a writer, editor and researcher of non-fiction. Other books written by him include How to Think Like Bill Gates, How to Think Like Sherlock, How to Think Like Steve Jobs, How to Think Like Mandela, How to Think Like Churchill, How to Think Like Einstein and How to Think Stephen Hawkins. He lives in London with his wife, Rosie.